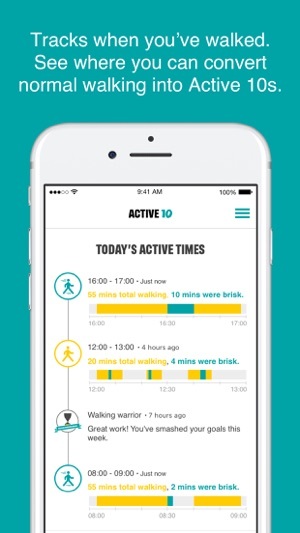 Active 10 tracks your walking and shows you when to increase your pace to benefit your health.The app is designed to quickly and simply help you do more brisk walking in bursts of ten minutes, known as Active 10s. 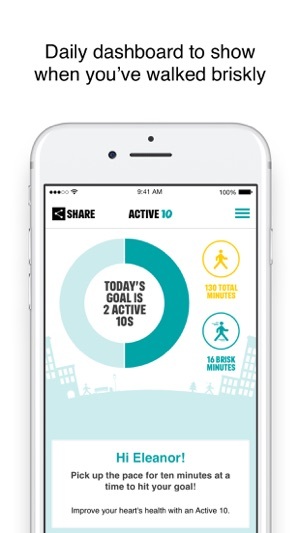 It tracks all your walking and rewards your progress. We all know how important it is to be active. The good news is that you don’t have to go to the gym or start expensive fitness programmes, walking counts too! Just ten minutes of brisk walking every day can get your heart pumping and can make you feel more energetic, as well as lowering your risk of serious illnesses like heart disease and type 2 diabetes. Going for a brisk walk is a great way to clear your head. Active 10s are simple to fit into your day, from taking the dog out to going for a lunchtime walk. Note: Continued use of GPS running in the background can impact battery life. This app relies on your phone’s inbuilt sensors to measure activity so you may experience varying levels of accuracy especially in older devices/operating systems. To improve accuracy, keep your phone in a pocket close to your body rather than in a loose coat pocket or bag. This is an early version of the app. If you have any feedback for how we can improve the app please send it to oneyou@phe.gov.uk. This app is a good idea and I like the way it shows when you are walking briskly. However, I am not over happy with location services being on all the time and would prefer "whilst using" setting to be allowed. Only used it one day so far so accuracy cannot comment on but what I seen looks correct. It is a basic app though as today I cannot find anyway of seeing what I did yesterday only a graph showing I did 40 minutes above my 10 minute brisk walk goal. This app needs some work on it to give it more features. 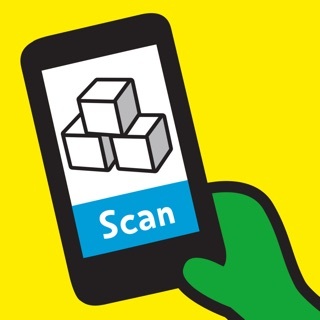 I have used a different Public Health England app before and that was also rather basic! This app is an excellent idea but I don't think it will be on my phone long if updates are not forthcoming in the very near future to change location services option and giving it a few more features. Thanks for responding to my review. I have now upgraded to 4 stars as having used it daily now I can see that the accuracy is correct. I also appreciate that Location Services do need to be on to track my daily activity and also I know now that it is not draining my battery too much which was one of my concerns for this. I would though still like to have some history of my previous days/weeks/months with detail as some other Apps do. On the whole it is a good App and I really like the fact I can see when I am walking briskly. Will now keep on my phone for a bit longer and look forward to seeing future updates. 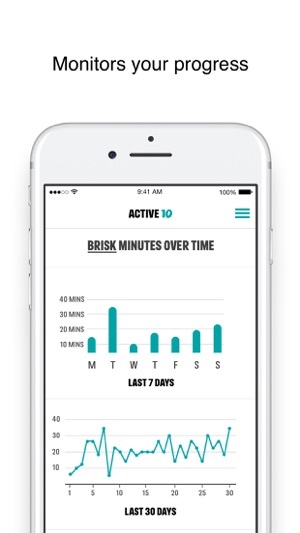 The app requires location services in order to track your activity throughout the day. Thank you for this constructive feedback. We will take your comments on board for future releases. Please keep an eye on the app store for updates. I liked the idea of this and for me it seems fairly accurate so far. It's nice to see how much brisk walking I've accumulated in a day and over time. The main problem is the Active 10's. I get that they want the 10 minutes brisk to be continuous walking but then there is no screen to see those achievements. I'm not sure for example if I achieved an Active 10 yesterday or the day before. All it shows is the cumulative amount of brisk walking. Seeing as the focus is an Active 10, I am very disappointed that I cannot see when I have achieved these over time. I am motivated by seeing things like this and to be honest the app isn't very motivating for me if I can't see the Active 10's I've achieved. 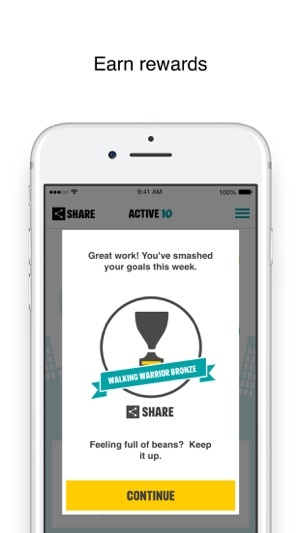 You get a badge/reward when you complete your first active 10 and then for a continuous week. But I don't know if I'm on day 7 and need to make a special effort to achieve the badge or where I am... Without actually showing me how I'm doing on the Active 10s this app actually doesn't get me to walk any more and I just use it to glance at every few days out of interest rather than it actively engaging and encouraging me. This is a pretty big oversight. Unless this improves I'll probably delete the App and won't be recommending it to anyone either. Thanks for your constructive feedback. We will take your comments on board for future releases. 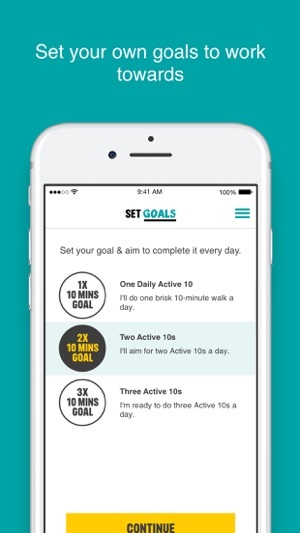 The premise of this app is great, and something that could add real value to people’s everyday lives and make a real difference to their fitness. However, there are so many simple things that it just doesn’t do - like tracking whether you achieved your Active 10 over time. For instance, yesterday I forgot to check whether I achieved mine until just after midnight, by which time it was too late and I will now never know! Surely another graph to show this could be added in without too much difficulty, it would be much more use than the current total brisk minutes tracking. Other reviewers have raised many other really important points, such as instant tracking, which again doesn’t seem too difficult as other fitness apps manage this. 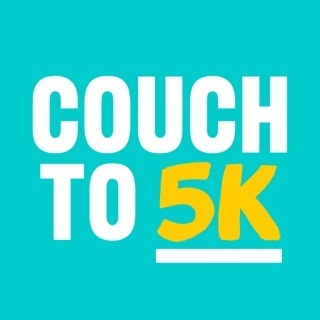 Please Public Health England put just a bit more investment into this project and make this the motivating, life changing app that it has the potential to be rather than something people try and then give up due to disappointing user experience! Requires iOS 9.0 or later. Compatible with iPhone 5s, iPhone 6, iPhone 6 Plus, iPhone 6s, iPhone 6s Plus, iPhone SE, iPhone 7, iPhone 7 Plus, iPhone 8, iPhone 8 Plus, iPhone X, iPhone XS, iPhone XS Max, iPhone XR and iPod touch (6th generation).